Chinese bike-sharing startup Ofo is backpedaling on its US business. Less than a year after launching in the United States, Ofo now says it is laying off staff across the country and pulling out of several cities. "As we continue to bring bikeshare to communities across the globe, Ofo has begun to reevaluate markets that present obstacles," Andrew Daley, head of Ofo North America, said in a statement Thursday. The company will instead "prioritize growth in viable markets," he added. Ofo employed about 120 people in the United States, and was operating in more than 30 American cities. The company said it will maintain operations in places like San Diego and Seattle, where it faces fewer regulatory challenges. An Ofo spokesman declined to say how many people would be laid off and which cities the company will abandon. It had already pulled out of Chicago earlier this month, citing regulatory hurdles. Ofo's US downsizing is part of a larger global retreat. 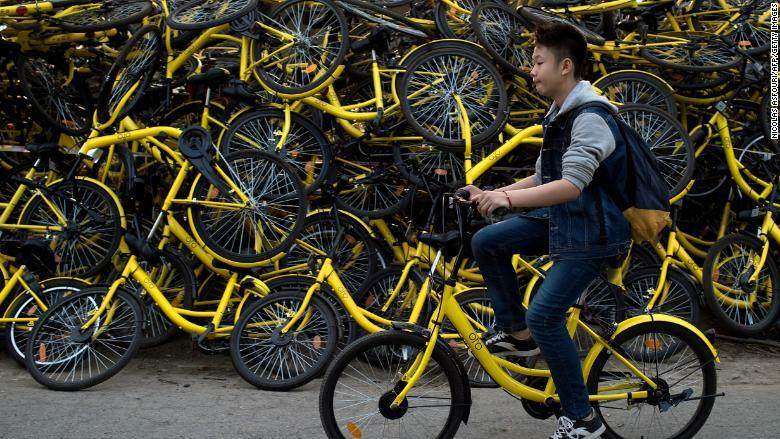 Ofo COO Zhang Yanqi had told CNN in an interview in July last year that the dockless bike-sharing company was serious about international expansion. He made good on his promise -- by the end of 2017, Ofo was operating in 20 countries. But this year, the company says it is pulling out of Australia, Germany and Israel, markets where it is more expensive to operate. Ofo is one of the leading players in its home country of China. Ofo is one of the leading players in its home market of China, where it is in a fierce, expensive battle with rivals like Mobike and Hello Bike. 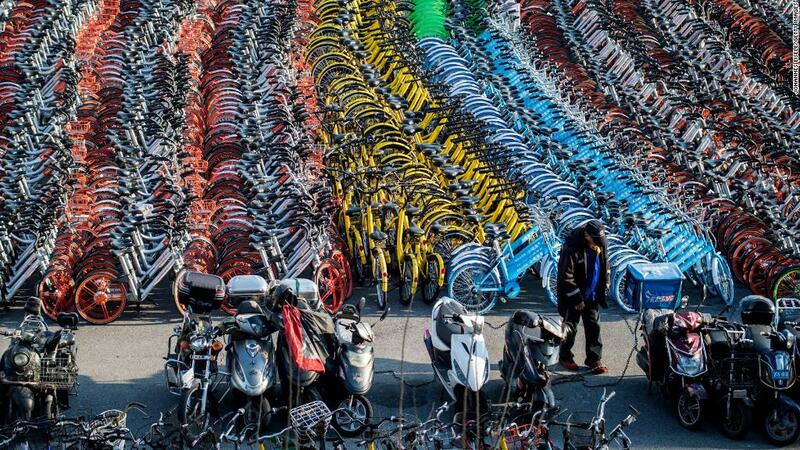 It was one of the first dockless bike-sharing companies to flood the streets of Beijing with a fleet of colorful two-wheelers. The bikes can be locked and unlocked anywhere via a smartphone app, which means users don't have to return them to designated stations. Analysts had hailed the Chinese model as a game changer, and its top companies grew quickly. Investors poured money into Ofo and Mobike, quickly catapulting the companies to $1 billion valuations. In March, Ofo secured an additional $866 million in a fundraising round led by tech giant Alibaba (BABA). For a while, it looked like Mobike and Ofo were set to continue their costly battle. At one point, the two were said to control as much as 90% of China's dockless bike rental market. But new players with deep pockets are shaking up the industry. Online services startup Meituan Dianping acquired Mobike in April, squashing expectations of a merger with Ofo. Meanwhile, Chinese ride-hailing leader Didi Chuxing launched its own bike-sharing service in January.